Apartment 8 is located in Filey. Free WiFi access is available in this cottage. There is a full kitchen with a dishwasher and an oven. Featuring a bat.. Apartment 10 is located in Filey. Free WiFi access is available in this cottage. There is a full kitchen with a dishwasher and an oven. Featuring a ba.. 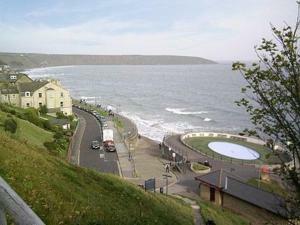 Apartment 9 is located in Filey. Free WiFi access is available in this cottage. There is a full kitchen with a dishwasher and an oven. Featuring a bat.. Situated in Filey in the North Yorkshire Region, this holiday home is 37 km from Whitby. The unit is 11 km from Scarborough. There is a dining area a.. Situated close to the River Hull 5 miles from central Immingham, this traditional inn offers free Wi-Fi, free parking, and an on-site gym with a hot t..
Set in Filey, this holiday home is situated 37 km from Whitby. The property features views of the garden and is 11 km from Scarborough. 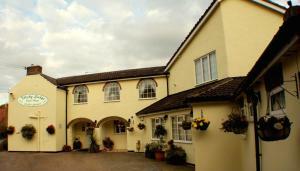 Free WiFi is a..
York House Country Park offers accommodation in Thirsk. York is 32 km from the property. The accommodation is fitted with a seating area. There is al.. Situated in the centre of the quiet village of Ulceby, the award-winning Gillingham Rest Bed and Breakfast offers free Wi-Fi throughout and free priva..
Offering a sun terrace and views of the garden, The Whitestonecliffe Inn is situated in Thirsk. Guests can enjoy the on-site restaurant. Rooms come w.. 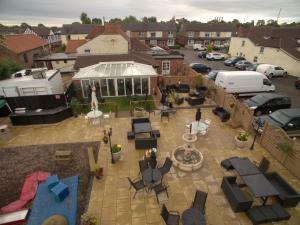 Situated in Thirsk, Sutton Hall features a garden and terrace. York is 33 km from the property. Free WiFi is offered and free private parking is avail.. Kitchen Box is a holiday home situated in Thirsk, 33 km from York. The unit is 33 km from Harrogate. Free WiFi is available throughout the property. ..
Little Byre is a holiday home is located in Thirsk and is 33 km from York. 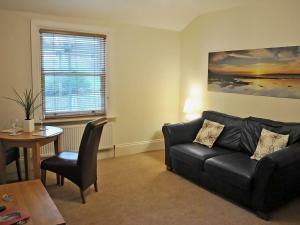 The property is 33 km from Harrogate and free private parking is offered. .. Featuring free WiFi throughout the property, Paper Mill Cottage is a holiday home, set in Thirsk. The unit is 33 km from York. The unit is equipped w..